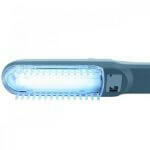 Narrow Band 311 nm UVB Lamp for Psoriasis, Vitiligo, Eczema. Worldwide Delivery. What you most probably didn’t know is that there are two kinds of UVB treatment – broadband and narrowband. 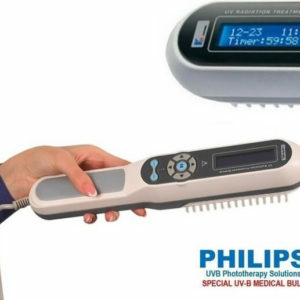 UVB narrowband psoriasis treatment is considered more effective because it practically cures faster. There’s no secret at all – experiments have shown that broadband UVB works as well, but nothing beats 311 Nm light bulbs in terms of skin disease treatment. 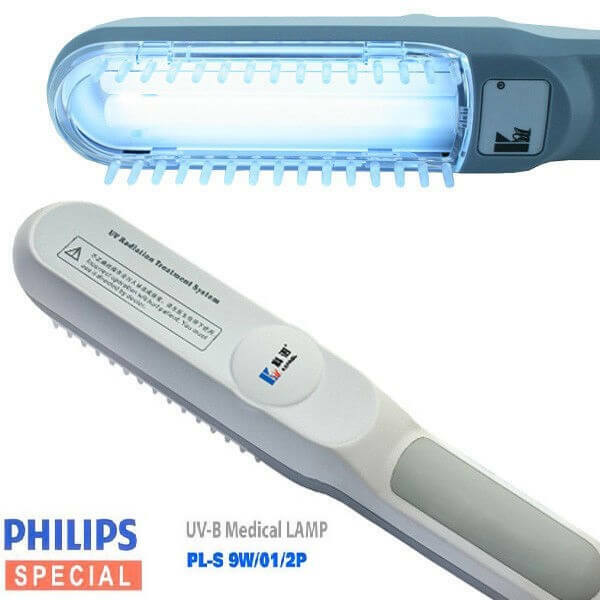 As you can see, UVB lamp psoriasis treatment is the best choice for people who value their time and like to save money. With this device, you can cure skin disease yourself at home. Keep in mind, though, that you can only achieve the highest efficiency of treatment by strictly following the schedule. The epidermis of the human skin has the ability to absorb light of certain wavelengths. This peculiarity is found to be extremely useful when treating skin disease. 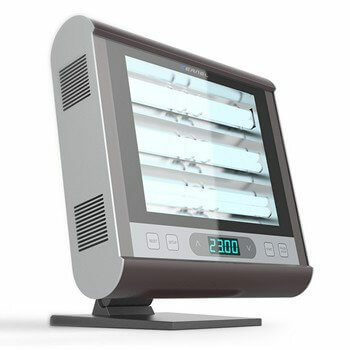 A newer type of UVB, called narrowband UVB, emits the part of the ultraviolet light spectrum band that is most helpful for psoriasis.The UVB psoriasis lamp uses that feature and affects the skin on the cellular level. 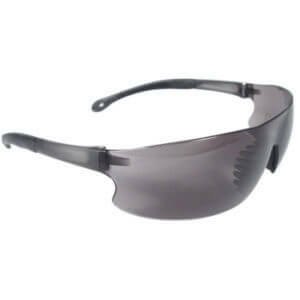 It emits light from the very part of ultraviolet spectrum that stops the diseased cells growth. Broadband UVB treatment has been cancelled in most clinics because narrowband is a lot more effective. 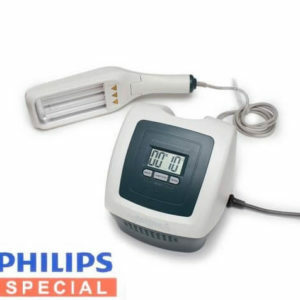 It is also easy to use, so anyone can cure psoriasis at home with just one device.